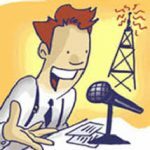 Jim Brown's Blog » Radio Program Schedule! Did you know that health care fraud cost taxpayers a hundred billion dollars a year? We will talk with physician’s assistant Sharon Bahrych as to why. Also, do you have a guardian angel? Karen Mussette, author of My Guardian Angels will discuss with those why so many people believe in guardian angels. And getting ready for the holidays, both with guests and taking care of your health, including guest Reena Jadhav who focuses on empowering people to take back their own health solutions. Her book is Health Journal. So stay tuned for a lively program. Check local listings for times and stations. We will see you on the radio.